The End of Stores? : Holiday Retail Sales Plummet! In this Spoken's "English for Professionals Podcast" episode, Henry and Jonathan examine why brick and mortar retailers, including Macy's and others, had such terrible Holiday Seasons! What are the two main reasons? 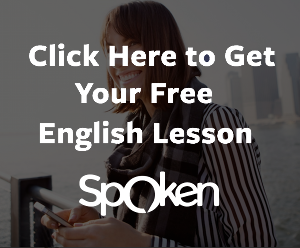 Learn about difficult business English vocabulary, idioms, collocations, false cognates, and phrasal verbs as you listen! Click on the blog post to access additional learning resources for this episode, including flashcards, the article, and the discussion board. In this "English for Professionals Podcast," Henry and Jonathan discuss research about the 15 habits successful people use to become more productive. Learn about difficult business English vocabulary, idioms, collocations, and phrasal verbs as you listen! Click on the blog post to access additional learning resources for this episode, including flashcards, the article, and the discussion board. Does Netflix Have New Competition? In this "English for Professionals Podcast," Henry and Jonathan discuss Amazon's plan to compete with Netflix in international markets. Learn about difficult business English vocabulary, idioms, collocations, and phrasal verbs as you listen! Click on the blog post to access additional learning resources for this episode, including flashcards, the article, and the discussion board.